I’ve had many experiences with long distance and I’ll admit it can be hard. But often these relationships become the strongest ones. My strongest long distance friendship is with Laura. 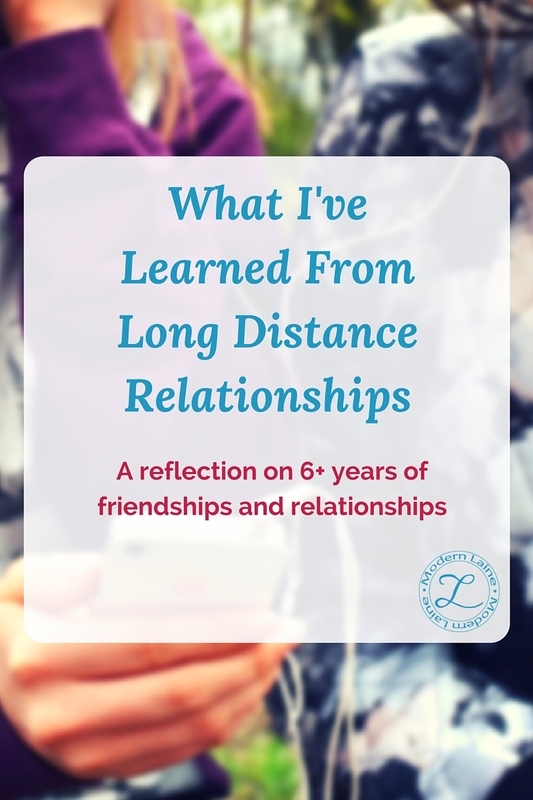 I talked about my friendship with Laura last week on her blog, so this week I wanted to share my other experiences with long distance friendships and relationships. I attended an online public school for high school and that’s where I first experienced the joy of having friends who you can’t see everyday. We would text each other all day and sit on Yahoo! Messenger all night. Somehow it was easier to form a bond with them than it had ever been with the friends I saw all the time. I made friends all over the country and I’m still close with a few of them. In 2010 I joined a writing site for teen writers called Inkpop. I became a part of a group of night owl writers called the Insomniacs. I’m still close with many of them thanks to Facebook and our bond over writing YA fiction. Ink pop really opened my eyes to other lifestyles because I became friends with people in other parts of America and around the world. Later that year I was a junior in high school and I was dating a guy, but he lived over an hour and a half away, so this was not only my first relationship, but also my first experience with a long distance relationship. I was not prepared at all for the effort and struggle of a long distance relationship. Truth bomb: Long distance relationships are ridiculously hard! Back then we were very limited in the resources and people were still super weird about the idea of having a long distance relationship. The pace of an LDR is very different from an in person relationship because you only get a short burst of time with your partner. It feels like you have to make up for all the missed time in that short window. That causes a lot of stress on the relationship. It’s a cycle that’s hard to beat. You either fight all the time because you’re angry and sad from missing them or you’re so happy that you overlook all the flaws and bad stuff to the point of being blind. Still, for all the struggles of long distance relationships it can be worth it. I think in a long distance relationship you grow to appreciate your partner because you have a short amount of time with them. You learn their details and habits, and the honeymoon happiness phase can last a lot longer. I had a favorite quote during my relationship. For me long distance relationships were not always the easiest to manage, but it’s an experience I’m glad I had. It taught me a lot about love, friendship and life. Have you ever had a long distance friendship or relationship?